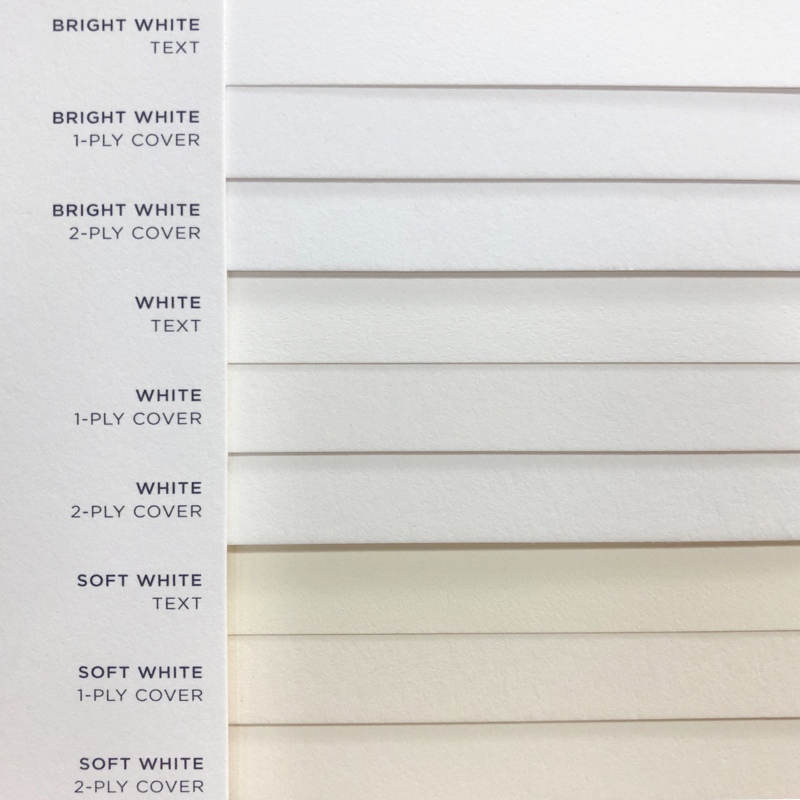 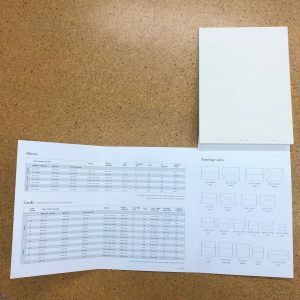 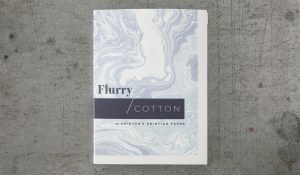 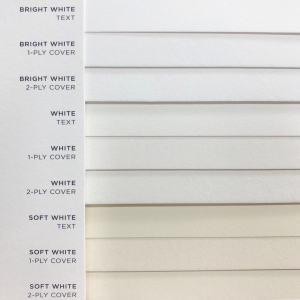 Our Flurry Cotton swatchbook shows all 9 grades of Flurry Cotton paper, and also how each grade is sold. 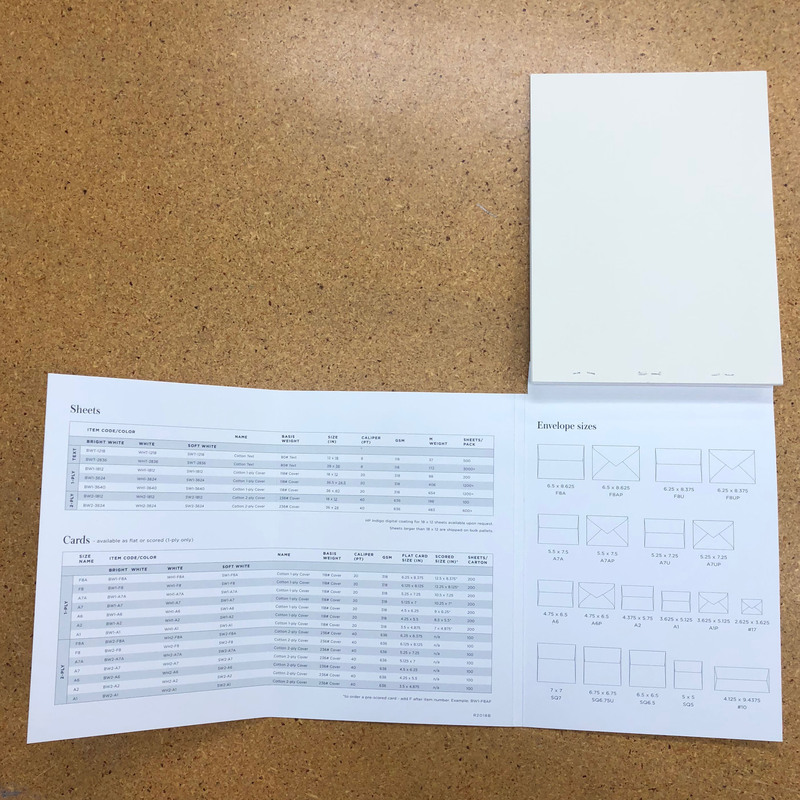 A handy envelope diagram quickly shows the envelopes available. 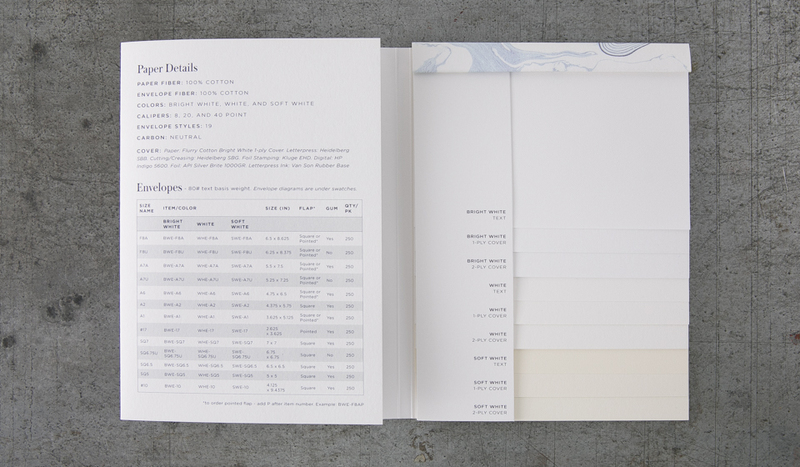 The swatchbook is printed by letterpress, digital, and foil stamping.